Toby's profile has been removed from Petfinder.com, indicating to me that he has found a home. That's wonderful news, meaning that 2 Petfinder adoptables were adopted during the Super Dog Sunday™ charity event; Hunter was also adopted a couple of weeks ago. Thanks to everyone who helped to bring this about, and for all of your participation. I hope you all enjoyed watching the thumbnail images of Super Dog Sunday. I had a few questions about viewing. You can actually click on them to see a larger view. But today I've got a fun surprise--a slideshow! Half of our entries are shared here (including some of my own furry family's pics). The other half will appear on DogTipper.com, so be sure to watch their slideshow also, so you don't miss a single one of these adorable photos. As a late addition to this, I thought you would enjoy seeing this cute video. We did not include videos in the contest, but Rocco wanted to show off his hiking skills anyway. Be sure to watch for a good laugh: Before I go, I want you all to know that we learned of Hunter's adoption last week. 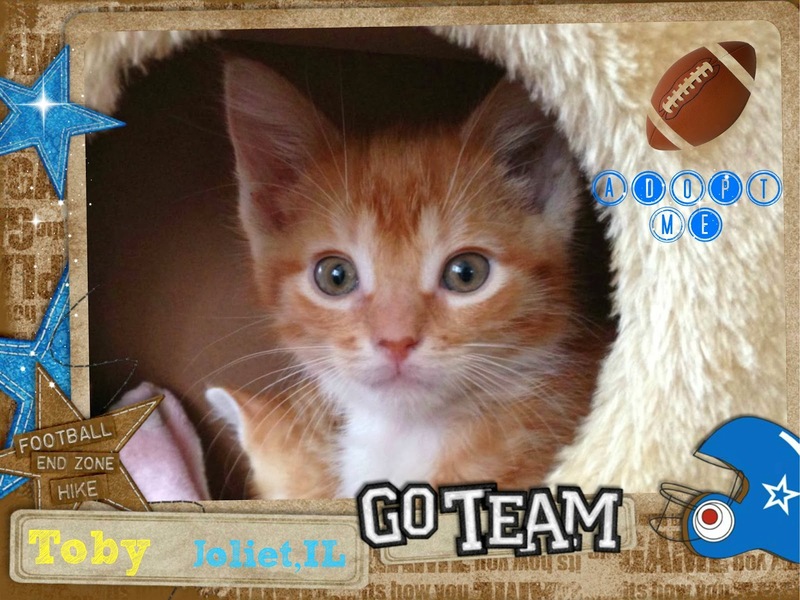 He was featured in the Super Dog Sunday™ photo contest as a Petfinder adoptable. We also received word of several donations in addition to those of your sponsors and hosts. Petfinder Foundation is thrilled with any and all help--anytime. It's never to late to help a shelter animal, so feel free to donate here in Honor of Super Dog Sunday™, if you can. Finally, please join me in thanking our Platinum Sponsor, Nature's Logic, for donating generously to Petfinder Foundation, and helping us to promote animals in need of finding a forever home. Now go hug your pets and remind them of how lucky they are! Thanks again to all of you who participated in the contest. We had a great time watching all the fun photos. Stay tuned for word on next year's event and start looking for cool, new photo ideas. I wonder what Tanner and Oliver will come up with next? Super Dog Sunday™ has been brought to you by Event Barkers, a partnership of All Things Dog Blog and DogTipper.com. This event was 100% for charity, benefitting Petfinder Foundation. We covered all expenses ourselves and donated additional funds to help the cause. Nature's Logic's donation went directly to Petfinder Foundation and no fees were paid to Event Barkers. Those are all so cute! I love Rocco's cute trick, too. Perhaps I can put that trick on Maya and Pierson's list to learn this year. It's always great when these pets find furever homes! !